Directions: Use the links below to explore the meaning of your name. You can read about the history of your name, similar names that it may have come from, the country or region of the world it comes from, and how popular your name is. Take notes on what you learn about your name on the note-taking page. The Social Security site tracks which names were assigned in which year. It lists the popularity of the first name and shows when the name was most popular. Use this site to search your first name and take notes on any results you find. In order to search, you must scroll down the page a bit and add your first name in the box that says “Popularity of a Name”. Oh Baby! Names – enter your name to see if it shows up in this database. 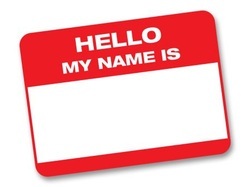 Look for references to famous people in history or literary characters with your name and write those down. Think Baby Names – type in your first name and then, if your name comes up, click on it to read its meaning and origin. BabyNames.com – type your first name into the search bar to see what comes up. If your name is in the database, you will find the meaning and popularity. Baby Name Wizard – enter your name to get a meaning for it and scroll down to find out famous people with your name or references in popular culture. Baby Name Genie – enter your last name and your gender and see what your name could have been. Just something to hold over your parents’ heads :). Letter about Name Project sent home to families. “History of My Name” Family Interview page. 1. Who picked your name? 2. How did they decide on your name? Is there a story behind your name? 3. Does your name have any personal or cultural meaning to your family? 4. What would you have been named if you had been a boy/girl (opposite of what you are)?